The Hebei government recently hosted its 5th meeting of the regional committee of the Chinese People's Political Consultative Conference (CPPCC) in the provincial capital Shijiazhuang. 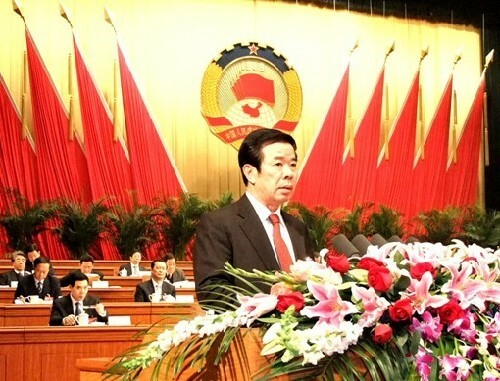 Over 700 provincial CPPCC members attended the meeting and voiced their opinions on the construction of an economically strong and socially harmonious province. Liu Dewang, the chairman of the provincial CPPCC Committee, delivered a work report during the meeting which reviewed the efforts made and the achievements attained since the fourth session. He said, the provincial CPPCC has witnessed a significant growth in 2011 through scientific development with the main task of reaching rapid economic transformation. In 2012, the committee will further strengthen its theoretical learning in order to precisely comprehend the new requirements of the central government. The priorities of the CPPCC also include the integration of economic development in Beijing and Tianjin areas along the Bohai region, unifying the political parties and the independents, and resolving issues that concern the public.